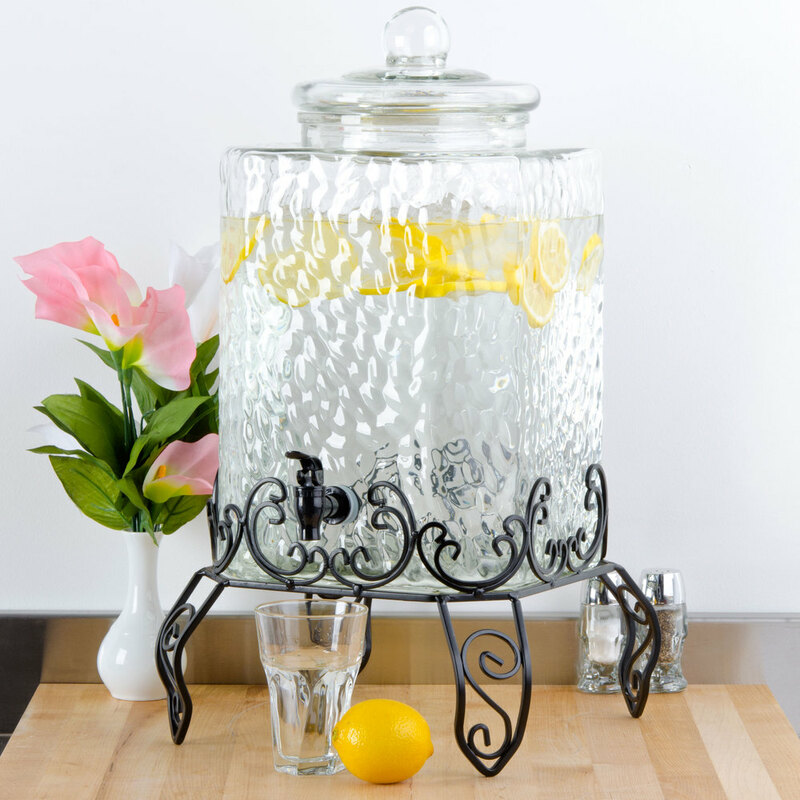 Serve your chilled drinks in style with this Core 5 gallon beverage dispenser with glass lid. Designed to enhance your beverage presentation, this beverage dispenser has an attractive cube shape and raised texture that adds personality and individuality to its functionality. It's perfect for any restaurant, cafe, coffee shop, or hotel that is looking for a stylish way to serve their lemonade, iced tea, fruit punch, or other refreshingly cool beverages. Includes iron stand. Overall Dimensions: Length: 10 1/2" Width: 12 3/10" Height: 16 7/10" Capacity: 5 gallons Glass not plastic Perfect for chilled water and ice tea!